​He's more than just a passer. 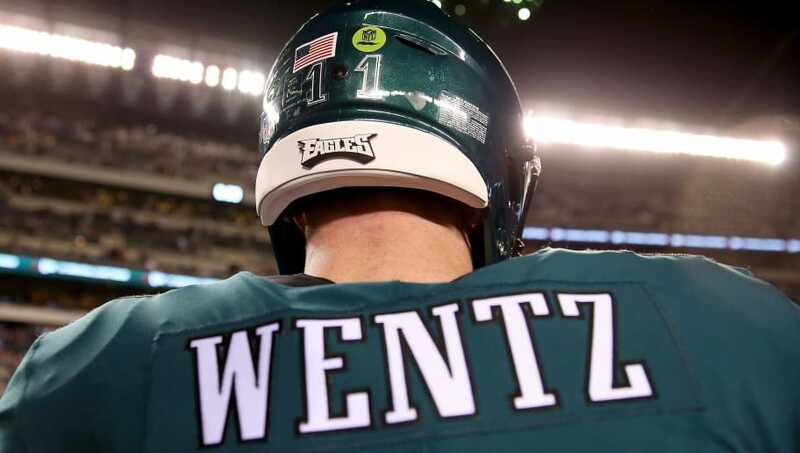 Carson Wentz is putting together a fantastic case to be named the NFL's Most Valuable Player this season. Wentz is completing over 60 percent of his passes, and he's thrown 17 touchdowns to four interceptions, which is good for 104 passer rating. As if those numbers weren't impressive enough, he's also pulled off some impactful feats in the ground game. Carson Wentz is the only QB over the last 15 seasons with 3 straight games of 3+ TD passing TD and 6+ rushes. True dual threat utility. Wentz has put together three straight games of three or more passing touchdowns, while racking up over six rushes in each of those games. He's also led the Eagles in rushing twice this year. We know Wentz is a great athlete, but his near-200 rushing yards this season are a testament to his toughness and ability to escape the pocket. He's always looking for extra yards, and is willing to sacrifice his body to get them. Not bad for a guy who doesn't see many designed runs.